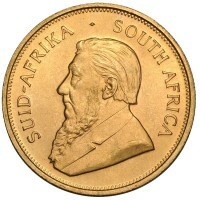 Sell to Us Price: $1,276.30 each. 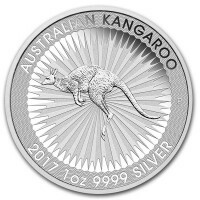 Money Metals Exchange proudly offers the Lunar Series coins from Australia's Perth Mint. 2016 is the Year of the Monkey and we will sell our limited allocation of these special coins very quickly. 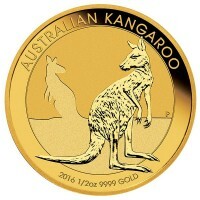 The mintage of the 1 oz coin commemorating the Year of the Monkey promises to be very low - roughly 1/10th the number of the more common Kangaroo coins. 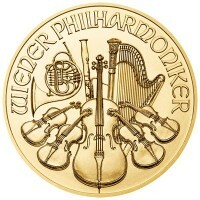 It's truly one of the most beautiful and detailed gold bullion coins for sale. The Perth Mint is perhaps the most recognized government mint in the world, and has an unmatched reputation for quality, beautifully made coins and bars. Adult Monkey (reverse) - It features an adult monkey sitting on a peach tree branch - symbolizing longevity and immortality. 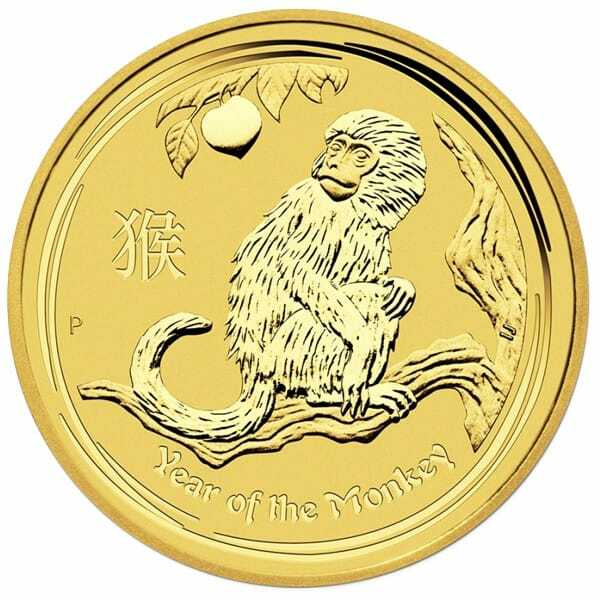 If you have any questions about the 2016 Year of the Monkey 1 oz gold coin, or other gold and silver products, feel free to contact Money Metals Exchange today at 1-800-800-1865. 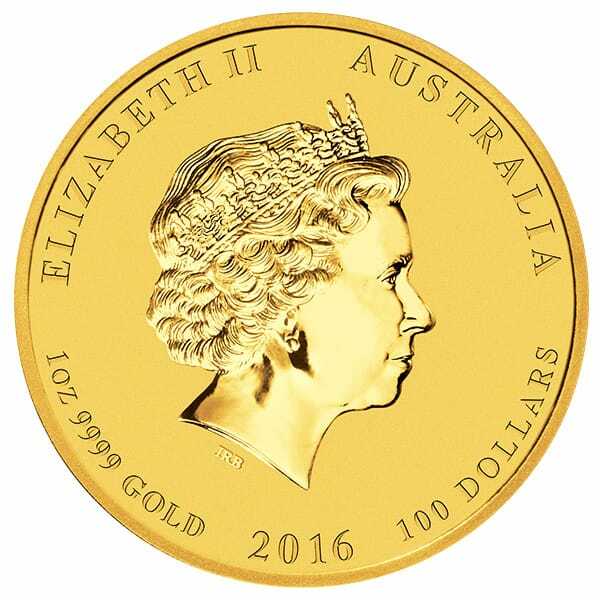 These beautiful Australian lunar gold bullion coins are enormously popular worldwide – GET YOURS WHILE THEY LAST! 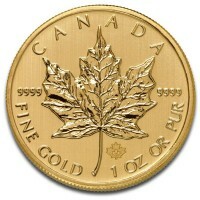 Our current buy pricing is $1,276.30 each and we will buy up to 20 ounces at this price. Simply call us on any weekday to lock pricing at 1-800-800-1865. 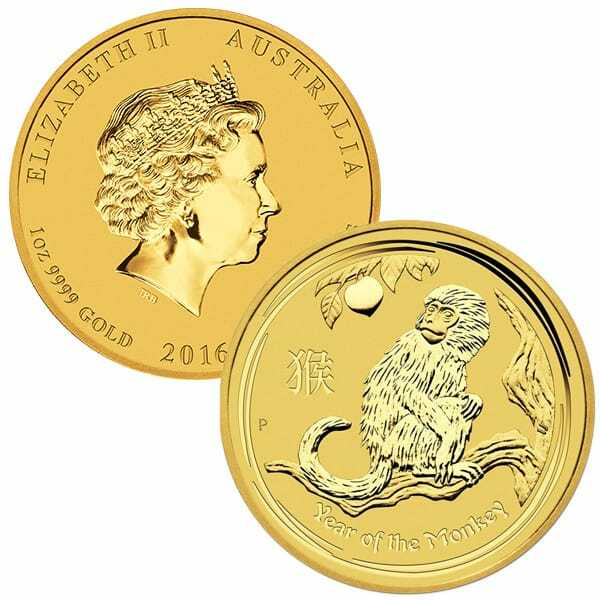 You can now sell your 2016 1 Oz Gold Lunar Year of the Monkey back to us online, at a price of $1,276.30 each!